Have you ever had an idea of something in your head that you just couldn’t find in reality? I’m always concocting the perfect item that things in shops just can’t live up to; unless you pay a small fortune, it’s highly unlikely that you’ll be able to covet that perfect piece that meets your every need. 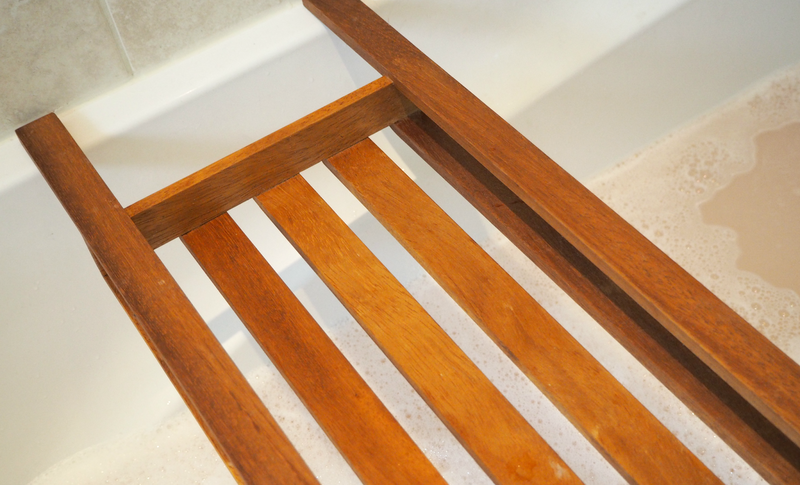 First it was my dressing table, then a handy stool that was just the right height for photography, followed by a bath tray that I just *had* to have to balance my wine and my book during my regular bath nights… Lucky for me, I have a boyfriend that makes furniture for a living who can turn my dreams into reality! 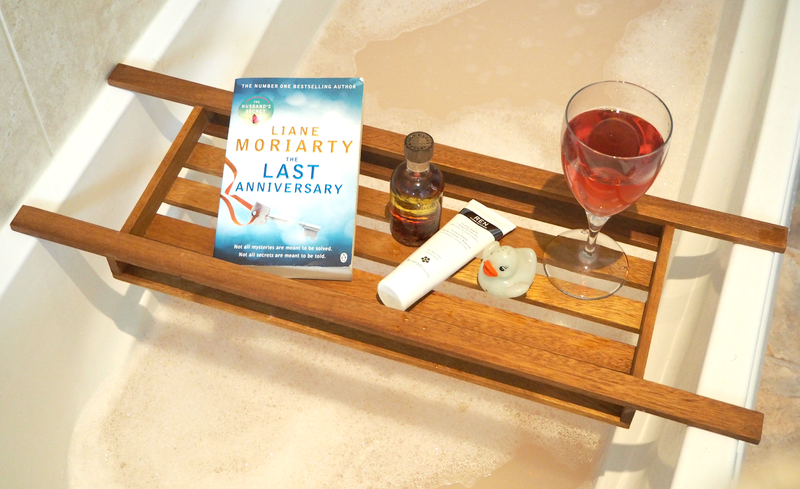 If you follow me on Instagram you may have seen this bath tray pop up a few times before; it always causes a flurry of comments asking where it’s from, but it’s been created by the loving hands of my other half. The great news is I’ve finally convinced him to open his own Etsy shop and make a bunch for you guys too, so your bath times can be as pampering as mine! 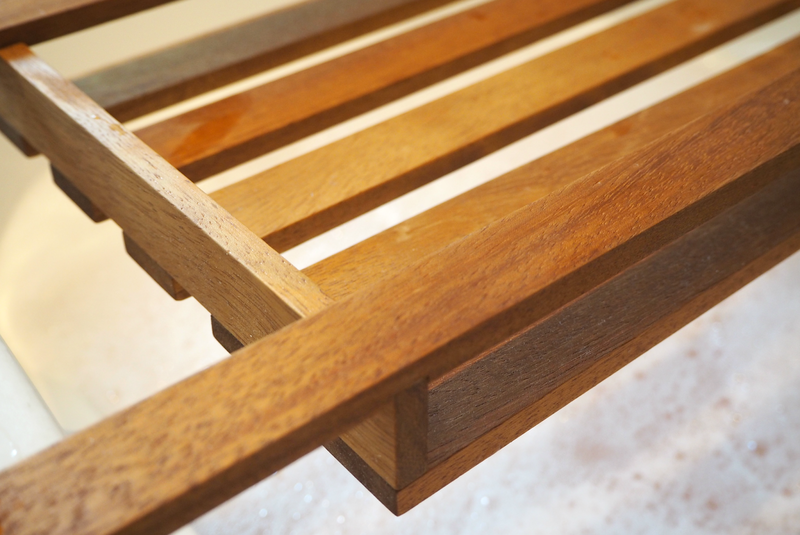 Hand crafted using the best Iroko wood and finished off with beautifully soft oil, the result is an ethereal piece that’s the highlight of my bathroom. 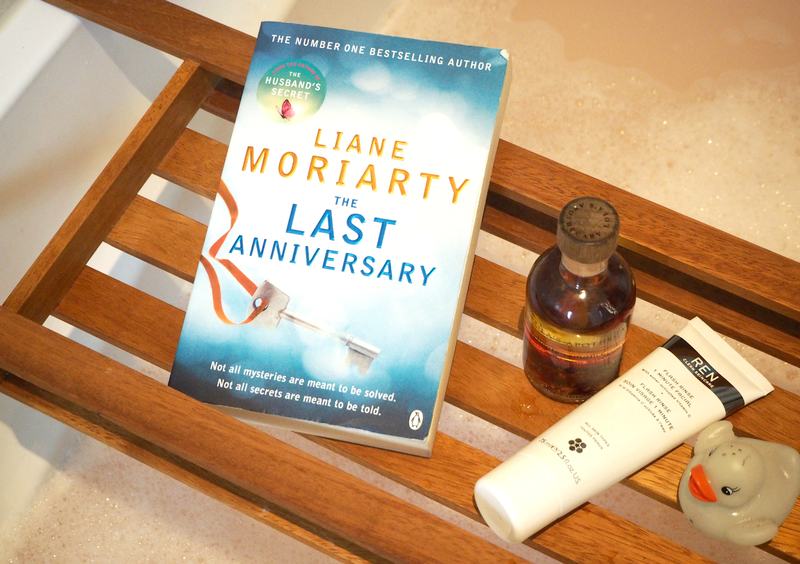 It fits any standard size bath tub and is incredibly sturdy, holding my book and glass of wine with ease – as well as the usual selection of beauty products. 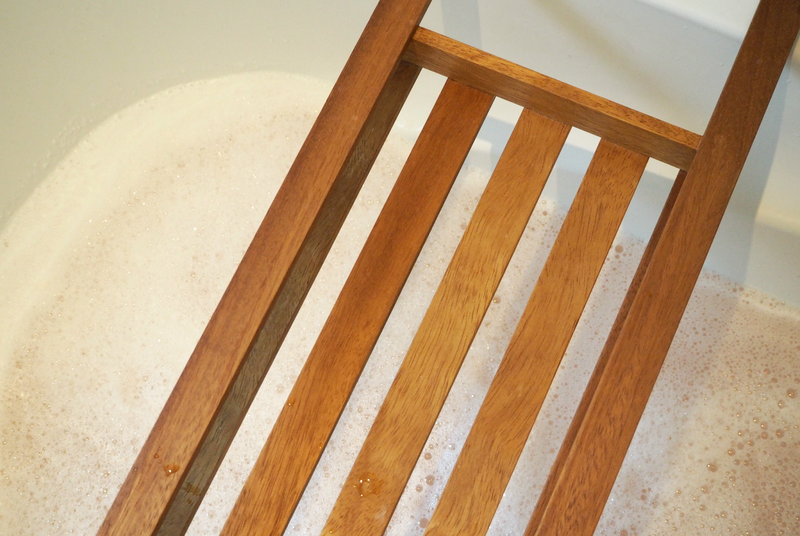 The oil finishing means the wood doesn’t expand or change colour when it comes into contact with water or the inevitable bubbles; I’ve been using mine for the past three months and it still looks absolutely as good as new. So much is this a statement piece within my bathroom, that friends and family have all placed their own orders ahead of the Christmas season! The closest shop-bought alternative I could find was a £45.00 White Company number that was imported from Taiwan and looked a bit rough around the edges; Josh has created this for only £30.00 plus P&P. Bargain. 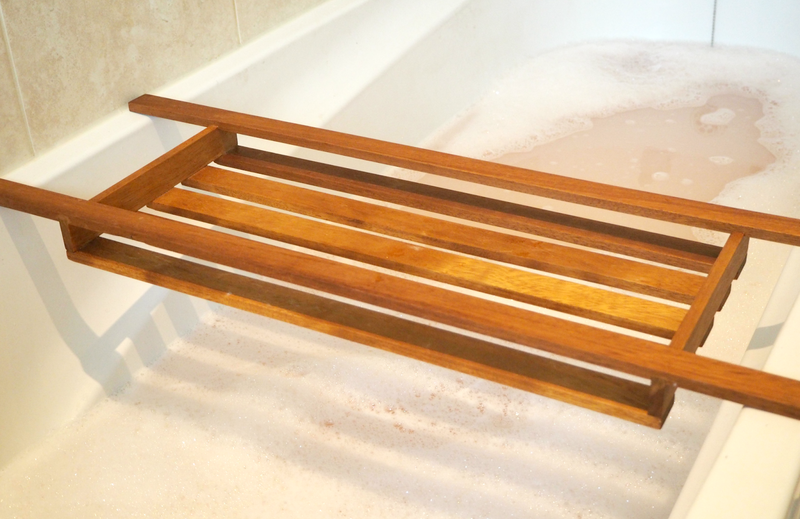 If you want to get your hands on your very own hand crafted and lovingly created wooden bath tray, then you can buy yours online here. There are only a few available right now (the downside of having to make them in your spare time by hand!) but if you want to pre-order or secure yours for the future, you can drop me an email: HelloLBQ@gmail.com. I really hope you get as much pleasure from yours as I have done from mine. Get your hands on a piece of this limited run here, for £30.00 plus P&P. If you can’t get your hands on one right now, or want to pre-order for the future, just drop me an email.